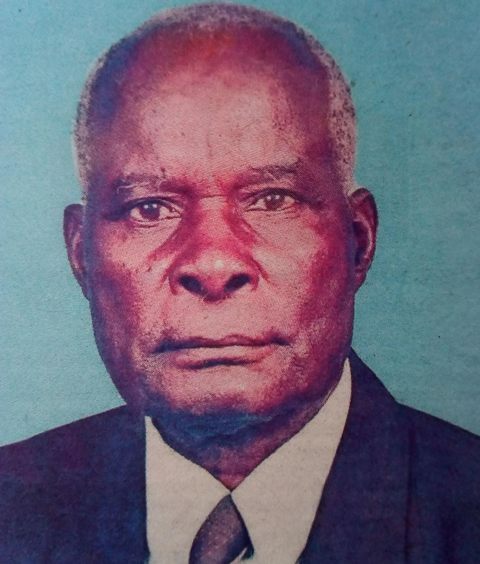 The Omoso family announces the passing on to glory of “OGAYI” Mzee Zablon Omoso Wasonga who was Chairman of Luo Council of Elders-Seme Sub-county, Kisumu County. Husband of the late Grace Omoso, late Philister Omoso and Patricia Omoso. First Son of the late Senior Assistant Chief Mzee Meshack Wasonga and Yuniah Wasonga of Seme Kanyadwera. Father of James Omoso, Late George Omoso, Pastor Henry Omoso, Eng Lucas Omoso, Meshack Omoso, Benter Ochieng, Pamela Odumo (Canada), late Alfred Omoso, Millicent Ajuma, Eunice Nyawangu, Thomas Omoso, Jane Adwando, Margaret Abongo, Dorsila Omoso and Elisha Omoso (RONGO UNIVERSITY). Father in-law of Sarah Miyungi, late Jane Meyo, Evangelist Angeline Owaga, Mary Okebe, Cecilia Okebe, Victorine Wasonga, Cynthia Akuro, Grace Ogutu, Millicent Ogutu and Viola Osio. Mzee leaves behind 76 grand children and 65 great grandchildren. There will be harambee at Railway Club on 23 April 2019 at 5.30 PM led by HE Prof. Anyang Nyong’o Governor Kisumu County. 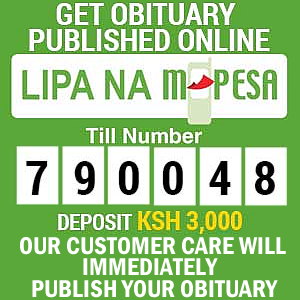 The cortege will leave Nightingale (Milimani) mortuary on 25th April 2019 at 11am for a brief viewing at Ofafa Memorial hall and thereafter to A.C.K Wangarot church at 2.PM. 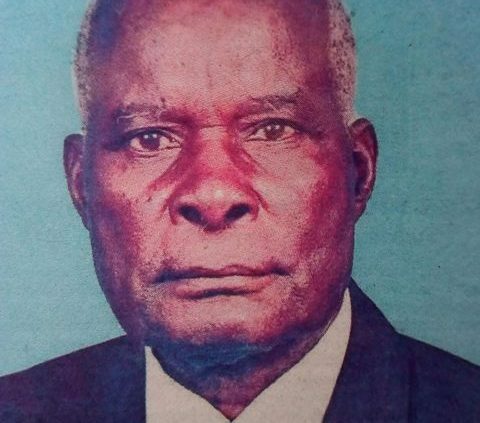 Burial ceremony will take place on Friday 26th April 2019 from 9.00 am at his home in Kanyadwera, Seme, Kisumu County. Rest in peace Daddy, Grand dad, Uncle, “OGAYI”. We loved you but God loved you more.